A mug featuring bright coloured, cute owl families. 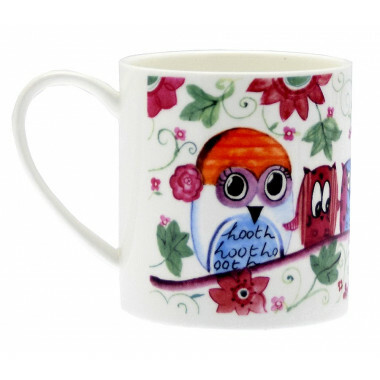 With its cutie pie owl family, painted in bright watercolours, this mug is great for a tea or coffee break. Two designs available.